For some women their hair is too short. For others it’s too thin. And for others it’s too thick. Truth be told that most women (especially women of colour) have a desire to grow longer hair in some shape or form. The difference however is that most women aren’t willing to go to extreme lengths to grow their hair and would instead prefer a magic pill or potion that could do it for them. You see, growing longer hair is a bit like being on a diet. You could take diet pills in the hope that they’d magically burn fat 24/7 or you could work out and eat more mindfully. The second option just sounds like way too much work for most people but at the back of their minds they know that it really is the best way to get lean. It’s the same thing with hair care. Magic pills sound great but they aren’t the safest or most reliable way of growing longer hair. And what can you do if you want to grow your hair ridiculously long in under 12 months? Here are a few extreme hair growth strategies that have worked for some women. Please note that we are not recommending that you do them and we certainly recommend that you do thorough research before opting for any of these hair growth methods. Crazy Thing 1. Extreme Bunning. Bunning simply refers to the process of wearing your hair in a bun for days, weeks or even months on end. Most extreme bunners have a method that works well for them and it consists of something along the lines of comb/brush hair, moisturise heavily, add oils and then place hair in a bun for 3-7 days. Pros? It works really well for some people. I’ve tried it at various points and it certainly helped with reducing excess breakage and retaining length. Cons? Wearing your hair in a bun can cause your edges to be pulled tightly which can lead to breakage around the hair line. It can also be very boring to wear your hair in pretty much the same style every day just for the purpose of growing it to extreme lengths. Yeah, I said the same thing when I first came across this method several years ago. The simplified explanation of baggying is that it involves covering your hair in a plastic wrapping over night. The heat and steam from the bag helps to lock in moisture. Pros? It can help to keep your hair very soft and moisturised which in turn can lead to hair growth. Cons? It’s potentially dangerous especially if used improperly. This is something to be very cautious about doing. Wigs can be incredible. They allow you to switch up your hairstyle quickly and easily without causing damage to your real hair. In many ways they are a potential godsend. 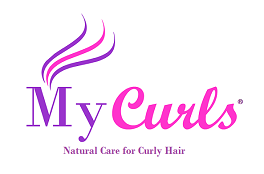 They can help with hair growth because they allow you to cornrow your hair and leave it alone for weeks or even months on end which in turn reduces breakage. Pros? They’re a great option for women who want to protect their hair whilst rocking fun hairstyles. Cons? Some women develop the habit of becoming so obsessed with making their wigs look great that they forget to care for their real hair (which should always be the focus). There are hundreds of companies who claim that their pill will stimulate hair follicles, promote growth and increase your hair’s shine. Whilst some of these products might genuinely work, it can be difficult to gage how effective they are. Pros? It’s an easy method to stick to- take a pill and wait for growth. Cons? Your hairs rate of growth depends on a variety of factors including genetics, your diet, hair regimen and much more. It’s therefore unwise to solely rely on pills for fast hair growth. All of the above methods have their advantages and disadvantages and what works for one person might not work for another so it’s important to iterate a little and figure out which method or product works best for you. I hope you enjoyed this article and as always, leave a comment below sharing which hair growth strategy is your fave.